I got married on 30th May 2010, after hectic preparation, shopping and after marriage rituals —-Honeymoon was the prefect break. I dont really understand why they call it honeymoon……..for me it was a relax-moon. Our planned honeymoon was in goa. 6 days in goa was awesome with beaches, night parties, temporary tattoo and various food to please our taste buds. On our last day, we headed form north goa to south goa for our dinner at about 7 in the evening.It was a prefect weather -slight drizzle at the sunset.On the way our bike sid and v fell off. As normal got up checked for any inquires, no visible ones hence got relived and where about to start I realised near my left neck…..something pricked. My husband’s visual contact told me i had a swollen muscle. Just to be sure on safe side we decided to see a doc.I told myself it was just a minor accident a normal skid……what would happen that wrong? 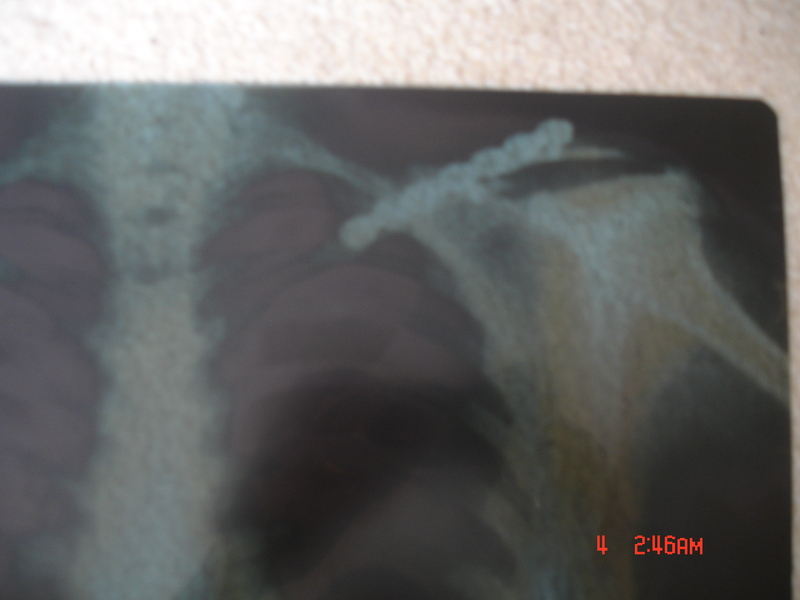 After inspection, doc relieved i have 2 (Vertical and horizontal) fracture on my collar bone. What the hell? Notting wrong could happen more than this…..